The teaser trailer for the new “Space Pirate Captain Harlock” remake movie was shown in Japanese theatres last weekend and it looks freaking incredible! Entirely CG animated this film looks beautiful and epic. Now if you haven’t seen it go and check out the first teaser released in February here. 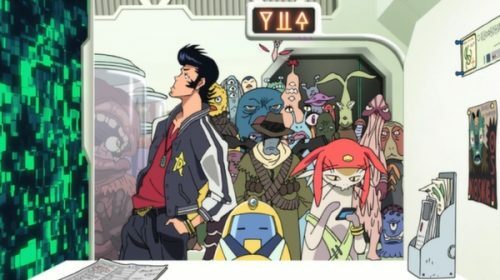 Leiji Matsumoto’s original manga of the same name revolves around the title character, Captain Harlock, rebelling against the earth government and fighting for humanity with his crew aboard his space ship the Arcadia. The manga spawned an anime series, a few small features, a sequel and now this. We have writer Harutoshi Fukui (Mobile Suit Gundam UC novels) who has built the story revolving around modern society and it’s issues, and Shinji Aramaki (Appleseed) is intending to direct the film with the latest technology in the style of a Hollywood production. 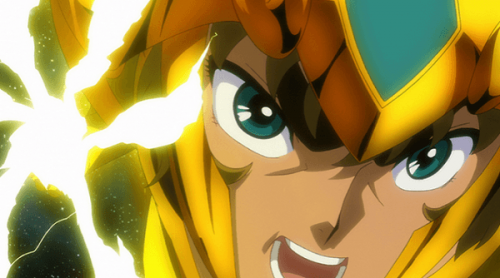 The budget for this movie is incredible having the highest production budget to be ever put into a Toei Animation project hitting about the equivalent of over 30 Million U.S. dollars. 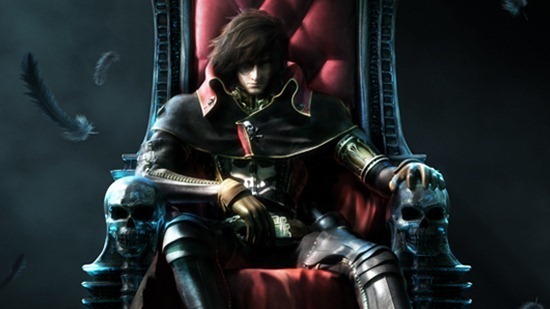 The Space Pirate Captain Harlock remake will open in Japan sometime this fall. Stay tuned for more. Now go and check out the NEW teaser in our featured video section below and don’t forget to drop us a line in the comments section just below that.